What Fish The Sea Is About Fishing is the biggest sport in South Africa and probably the largest growing sport in the world! On this website you can expect to find almost everything you wanted to know about South African freshwater fishing and salt water angling. We try to make you a better angler with the articles and tutorials we have on this fishing website. 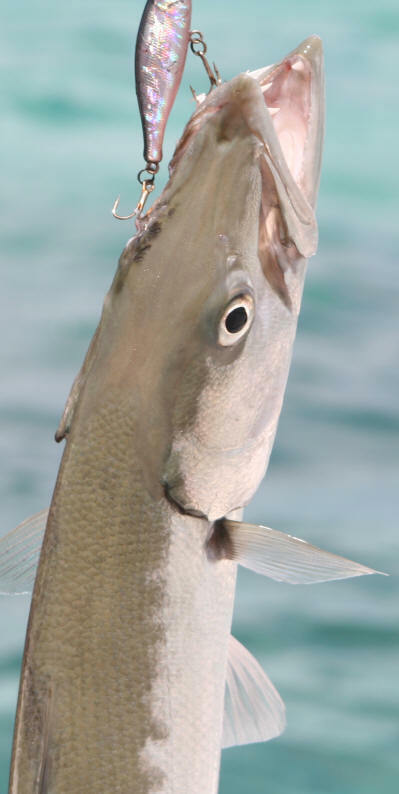 There are so many types of fishes and types of fishing techniques and angling options in Southern Africa. And South Africa is a wonderfully diverse place when it comes to fishing in terms of numbers of fish, fish species and bodies of water. There are over 320 common sea fish that occur around the South African coast line and over 145 common inland or freshwater fish species. I personally love fishing and have fished many different types of angling, whether it is in the sea or a river or a dam or a weir. Saltwater and freshwater fishing is great fun, especially if you know what you are doing. This website is running a long term project, which is trying to catch and photograph as many species of Southern African fish as possible and ultimately help you do the same. We want you to become a better angler with Fish The Sea! Since I can remember I have been a fisherman. My father taught me how to fly fish from a very young age and since the day I caught my first fish at the age of 9, a Rainbow Trout, I have literally been hooked on the sport of angling. Since my fly fishing days I have experimented with other forms of fishing and various techniques. I enjoy all forms of fishing and my aim is to get you and transform you into a fisherman, or if you are already, transform you into the best angler you can possibly be. Sign Up For Our Free Email Service... Regular feedback and great information will be sent to you on a weekly basis! Amazing Fishing Paintings & Drawings Available here! 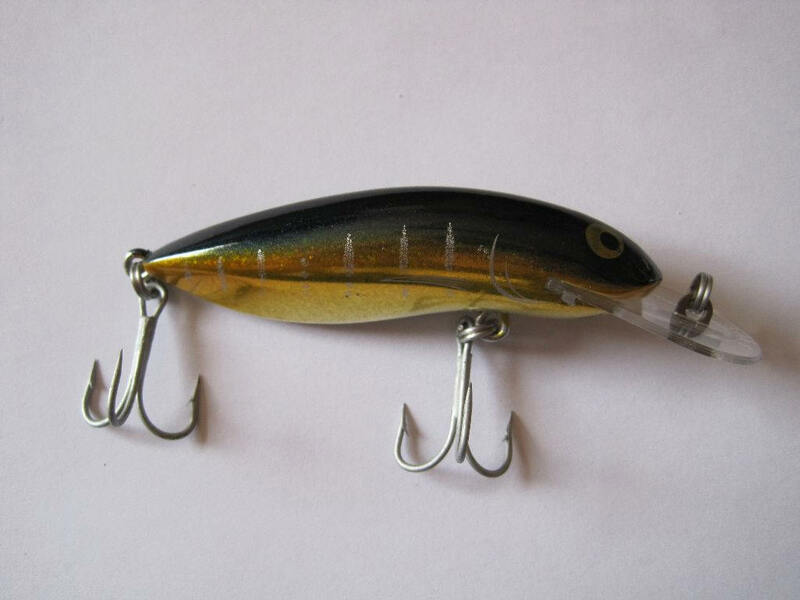 Micro Fishing The New Sensation! View our range of angling and fishing books and PDFs available by clicking this link. All books sold are produced by Fish The Sea and are one of a kind in terms of information and pictures provided! Fish The Sea was founded in November 2009 by Gareth Roocroft: A very keen fisherman who knows a lot about saltwater and freshwater fishing. Fish The Sea was originally set up to be an online tackle shop. 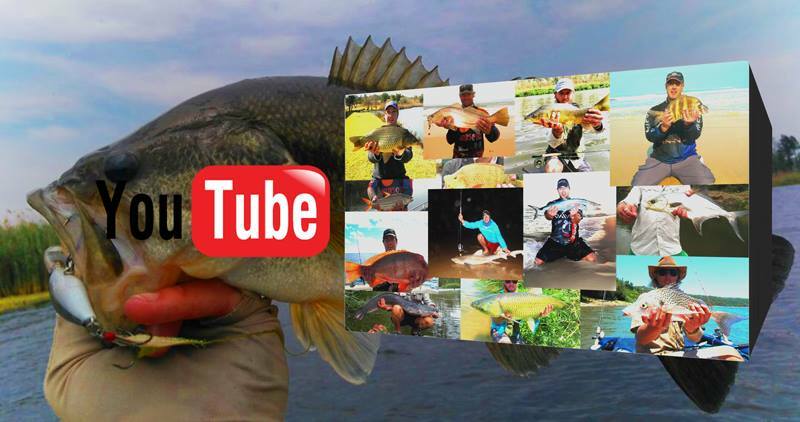 This transformed into an information based website to give tips, pictures and high quality fishing information to the users of this website... On this website we are not all about Sea fishing, there is plenty of information, tutorials, tips and hints for the South African freshwater fishermen as well. Fishing is the most rewarding past time and you should enjoy fishing at all times whether you are catching small fish or large specimens. 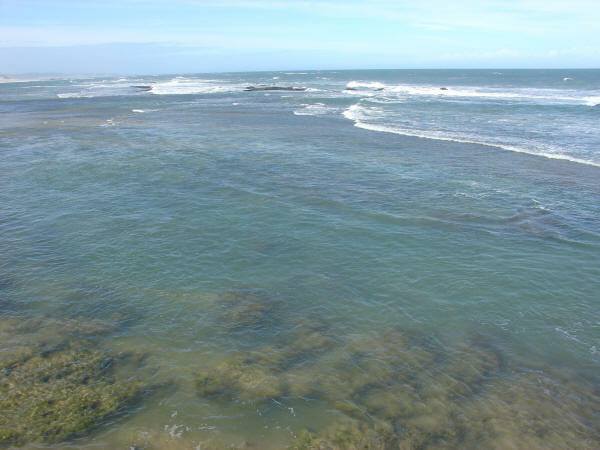 South Africa is home to so many freshwater and sea water habitats for our fish species to call home... Rivers, estuaries, dams, rock pools, weirs, lakes, intertidal zones, gullies, sandy beaches, rocky bottoms and the depths of the blue oceans. 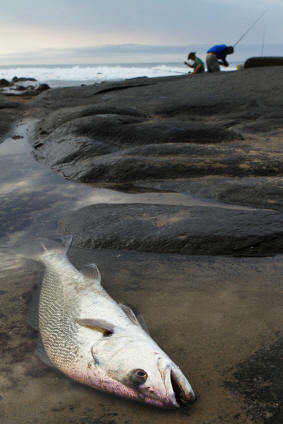 We should treasure the fish diversity we are lucky to have in South Africa and we should conserve it as best we can. All anglers can do there part, whether it is cleaning up after yourself, releasing your fish, following the size and bag limits or just making sure you release your fish properly. There are quite a few ways to make money from fish species and angling too: Run hatcheries or fish farms, introduce fish into a man made dam and charge people to fish, teach people how to fish or teach fish biology, run fishing tour programs, hold angling seminars, aquaculture, deep sea fishing trips etc. If you have any pictures of fishing images you would like to see on this Fish The Sea website please contact us and we will post the photographs on the site for you also please email me if you have any questions or queries.